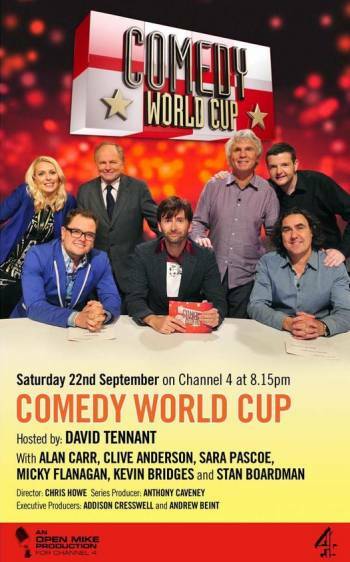 David Tennant hosted Comedy World Cup on Channel Four which broadcast on Saturday evenings. 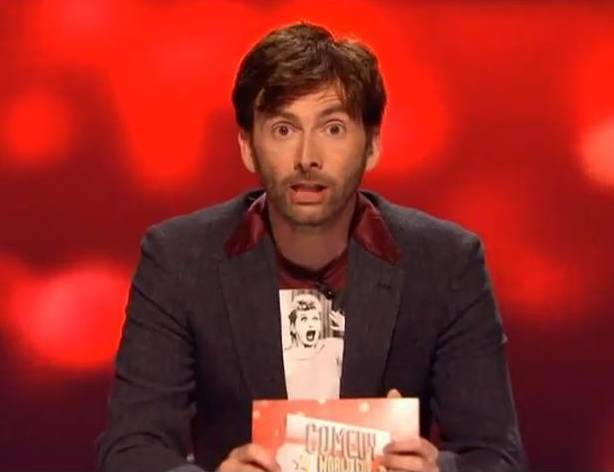 It was a seven part panel programme where teams of comedians used their comedy knowledge to avoid being ejected from the competition. 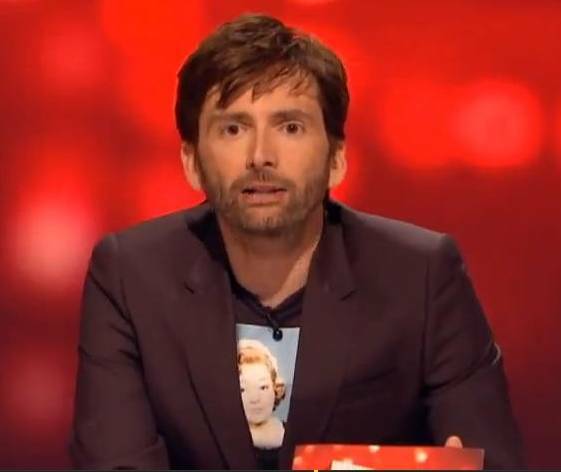 The first episode was broadcast at 8.20pm on Saturday 15th September. 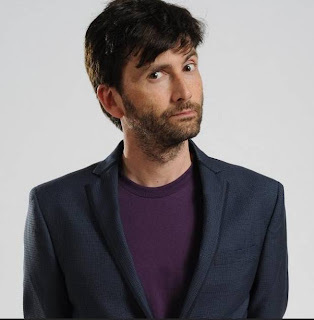 The pilot was filmed on Sunday 2nd September at the RADA Studios in London. This was the link to apply for tickets. 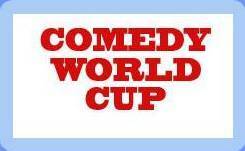 For posts related to Comedy World Cup on Blogger.com click here. In the first episode (15/9) Jason Manford's team beat Jo Brand's team by 15 points to 14. In the second episode (22/9) Alan Carr's team beat Micky Flanagan's team by 25 points to 11. 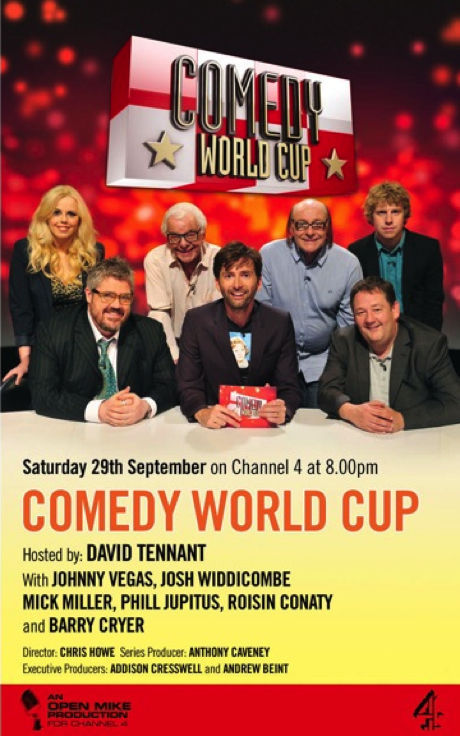 In the third episode (29/9) Johnny Vegas' team beat Phill Jupitus' team by 26 points to 14. In the fourth episode (6/10) Omid Djalili's team beat Andy Parsons' team by 27 points to 13. In the fifth episode (13/10) Johnny Vegas' team beat Alan Carr's team by 25 points to 16. 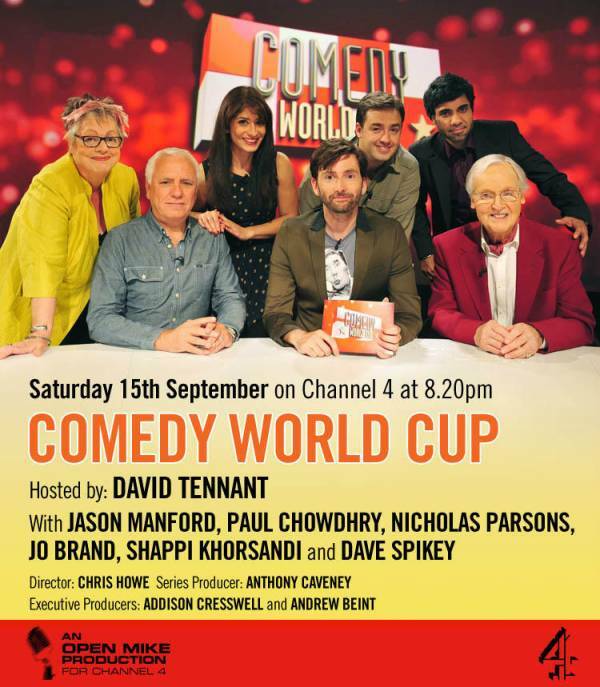 In the sixth episode (20/10) Jason Manford's team beat Omid Djalili's team by 20 points to 19. In the seventh episode (27/10) Johnny Vegas' team beat Jason Manford's team by 21 points to 20. The table above does not show the episodes in order as the semi finals were not played in the order of the heats!